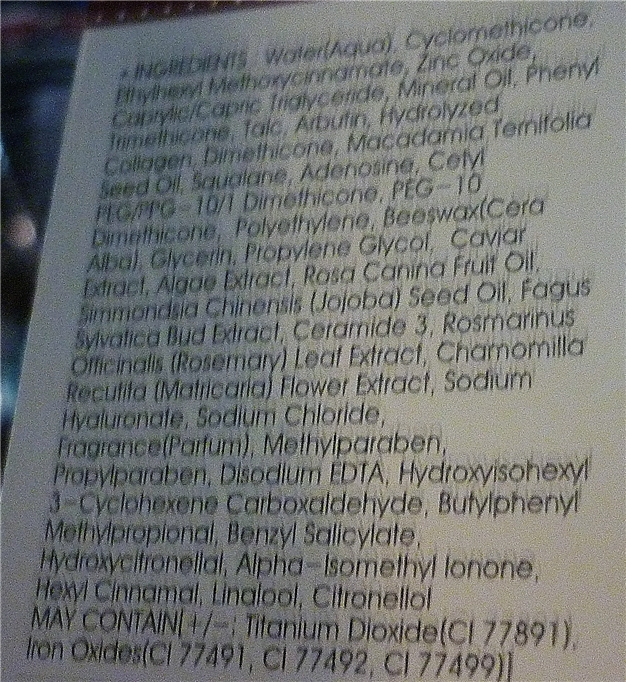 I still can't believe myself that I'm using something other than my mineral foundations. I feel like I've betrayed my minerals, as I'm loving this BB cream so much! This Korean band Missha Perfect Cover BB is perfect for me and it's my first adventure in the BB cream world. It's making want to try more brands out there. 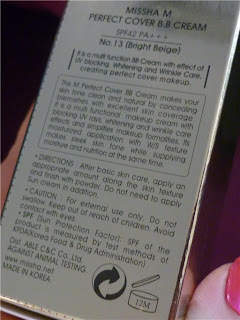 BB creams are all the rave in Asian countries, being Korea that made it a staple in a makeup line. 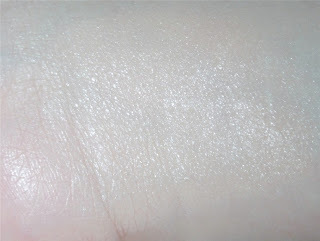 If you're not sure about BB creams and want to know more I suggest visting Musings Of A Muse. She has loads of posts on all the information you need on the BB topic. 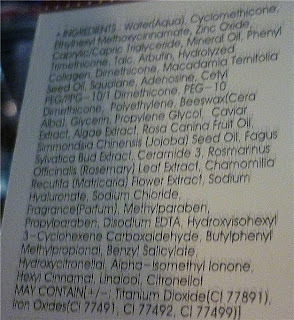 Unlike most BB creams this one comes in 3 shades, usually a brand will have one or just 2 shades. I chose the lightest colour and it blends into my pale natural skin colour flawlessly. I don't have to worry about SPF on my face and it lasts all day with just using a usual cheap compact powder on top. 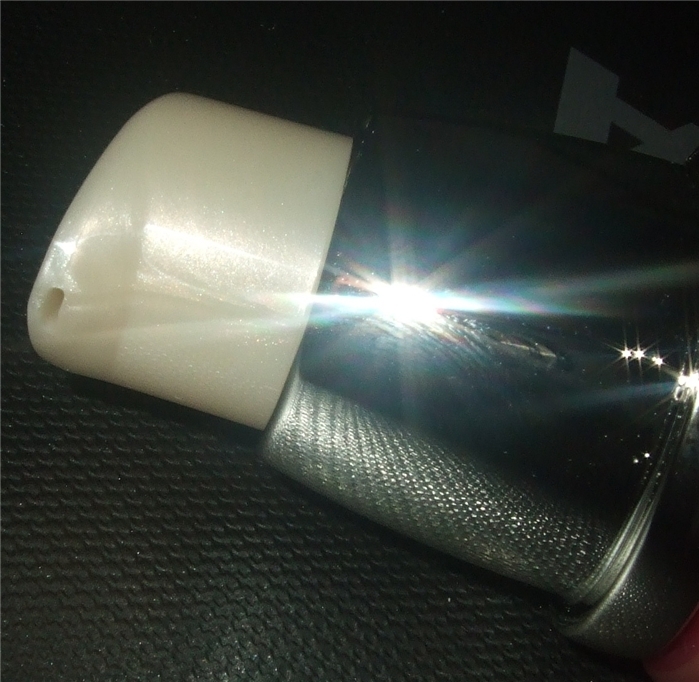 It has a medium coverage and a nice not too thick texture. It has a very delicate powdery floral scent to it but it isn't overpowering and you end up not smelling it after a while. If you're starting out on BB creams like me I'd recommend this one. It's not too expensive for buying overseas this costs me £11.55 for the full size including shipping on Ebay, you can also get the 20ml travel sized version for around £6.00 (which has a small nib not a pump) which I also have. 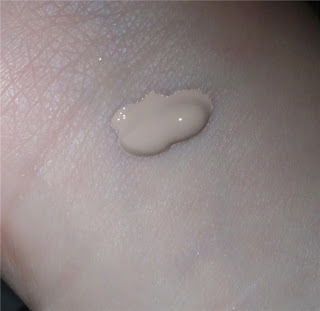 Great post, I've seen the odd thing on blogs here and there about BB Creams but I wasn't really sure what they were. I'm going to check out Musings to find out some more stuff about them. I have terrible skin, perhaps this is something I should look in to rather than wearing foundation every day. Thanks for the information! Oh, it seems really great! 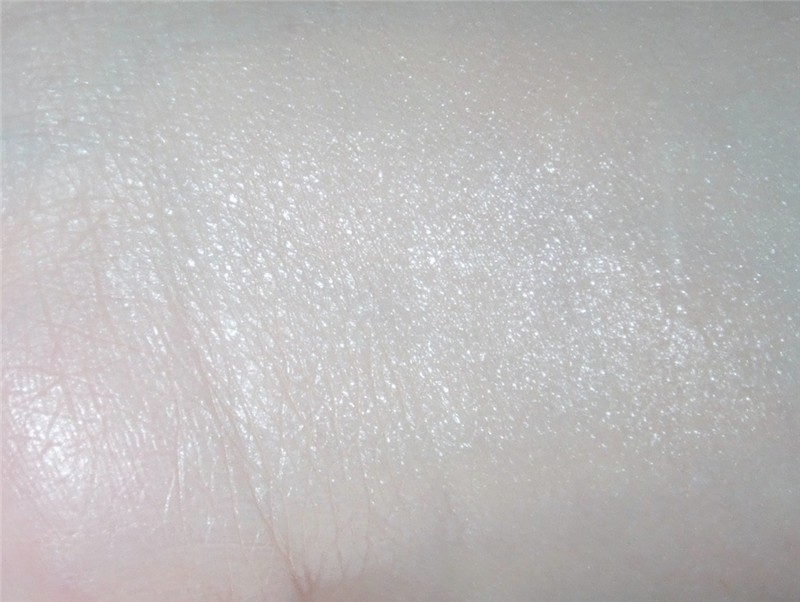 Every BB cream I've seen a review for either on the Muse or Asian beauty blogs looks to be a great shade match for my skin. 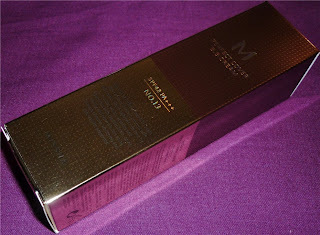 I'm always a bit dubious about Ebay though, which seller did you get this from? that's a lot of SPF protection and it's more like of a sunscreen or a sun block with that kind of amount added. But never the less at least you are protected to the harmful rays of the sun. 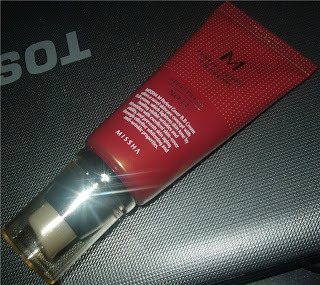 OOh if you love this Missha Bb cream you'll adore their slightly more expensive bb cream called Signature Real Complete ( i know weird name) this also comes in the shade 13 and its overtaken my love of perfect cover as it doesnt have mineral oil in it, which is so much better for the skin! Ive found the shade 13 is the palest bb cream yet.